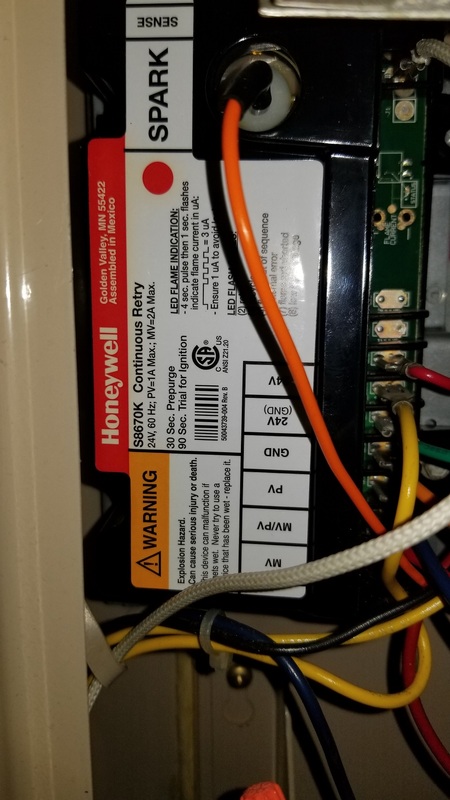 I'm new to this forum and was wondering if I could get some help regarding installing a Honeywell WiFi thermostat that requires a "C" terminal. I initially thought the "O" would actually be a "C" terminal, but doesn't look that way (also hard to see). I do have another pic below that shows some blue & yellow wires going into the the transformer, but I can't say for sure if it's the primary or secondary...I was thinking I might be able to use one of those as the C wire to close the 24V circuit, if I can identify which is which? Another thought I had, was whether I could tap into the 24V (GND) terminal from the ignition control module instead (see below) - would that work, or does it have to be directly from the transformer? 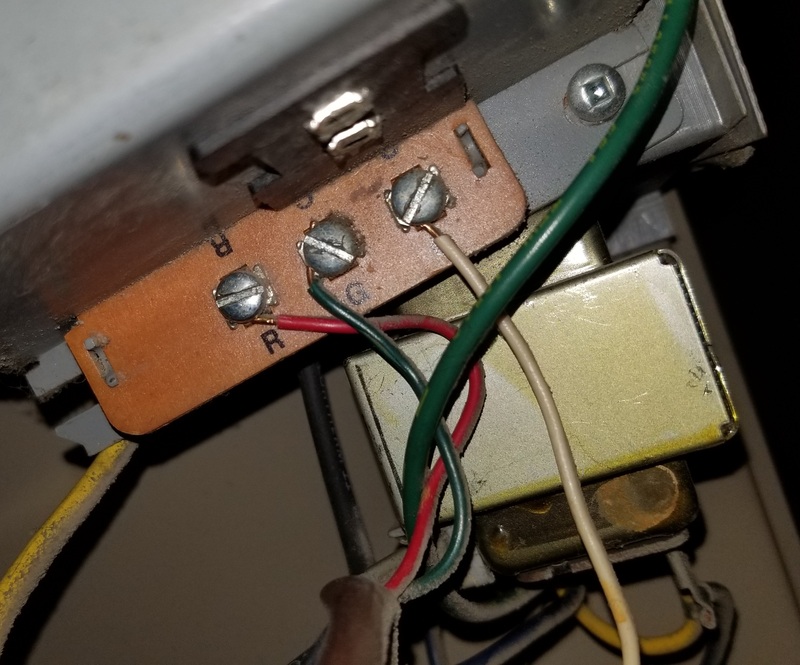 Any combination between R + W/B/G = 27.4 V, which means the circuit closes ...so if I just take the G wire (Fan) and move it to the "C" terminal on the WiFi Thermostat, it should power the Thermostat, correct? I understand that I'll be loosing the stand-alone Fan functionality, but will the Fan turn on when Heat/AC is working? 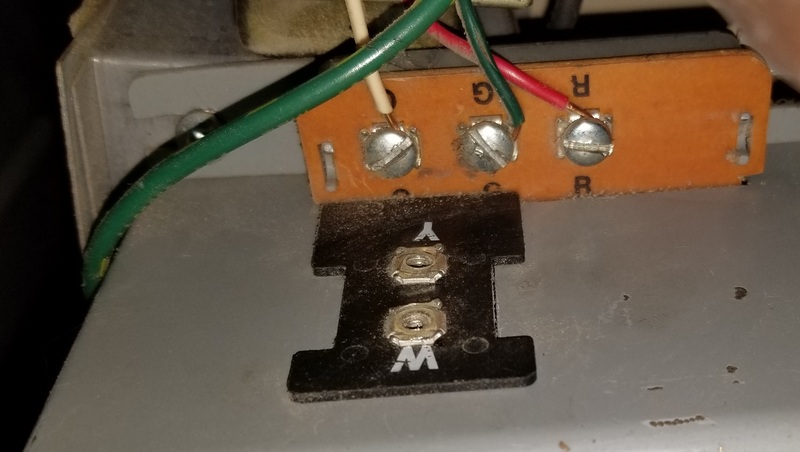 If you can see your transformer and the 4x terminal of that transformer which it appears you can, you can always find the common or the 'C' terminal. Half the transformer will have 110-volts going in. The other half will have about 24-volts coming out. The hot side of that secondary winding will go to the red wire going to the t-stat. The other terminal of that winding will be your common. Good Luck. 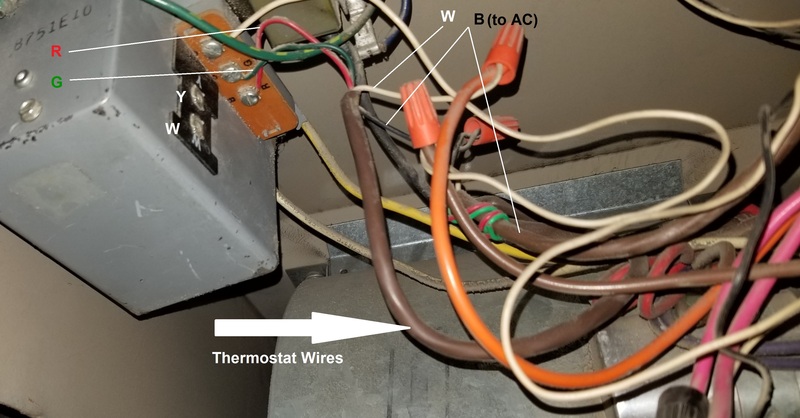 Because we know the black wire going off to the air conditioner is our Y wire (as it's connected to the black wire from the thermostat's Y terminal, according to what you have said and the photo's so far), the remaining wire in that cable must be a C wire, since you mentioned that there are only two wires going off to the outdoor unit. 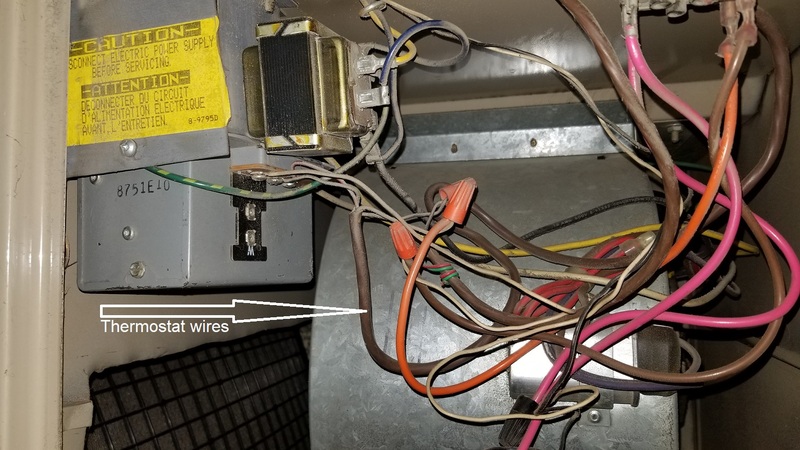 So, we follow that wire to where it nuts in with the white wire going off to the O terminal and the brown wire off to the rest of the furnace, and that is the point where we tap C at. Or in other words, in your system, O is what they call what the rest of us call C.
Not the answer you're looking for? Browse other questions tagged thermostat furnace wifi or ask your own question.